At BMW of Stratham, we want to help you understand all the ins and outs of proper vehicle maintenance. Routine oil changes are crucial to keeping your car in the best shape possible, and we want to make sure you have all the information you need to have them performed correctly. If you’re wondering, How often should I change my oil, there may be a few different answers to this question. Our BMW dealership is here to give drivers near Stratham, Portsmouth, and Exeter a closer look at all of them! You’ve probably had your oil changed before, but you might’ve never given thought to why this service is so important. Engine oil lubricates the metal parts inside your engine, so they can work in unison without generating friction and heat as they rub against each other. If you don’t change your oil-or the oil filter, which keeps your oil free from contaminants-you may risk serious and sometimes irreparable damage to your BMW engine. Fortunately, changing your oil and filter is easy when you have a trained technician on hand! When it comes to finding the proper oil change interval, there’s no single answer. Each manufacturer will recommend something different. If you drive a BMW model, we recommend that you have your oil changed every 10,000 miles. However, many car manufacturers will suggest different service intervals, such as every 5,000 miles or six months-whichever comes first. Every car is made differently, so the best way to discover your ideal oil change interval is by reading your vehicle owner’s manual or consulting with a certified BMW technician. If you’re worried about the service duration, the BMW FastService® pit crew will have you back out on the road before you know it! 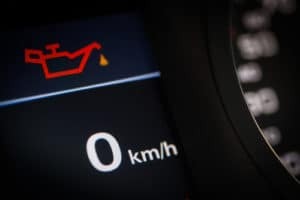 Following a regular service schedule is a great way to stay on top of BMW maintenance, but you should also pay attention to the signs your car is giving you when it comes to engine health. You can check the oil level yourself periodically with the oil dipstick. To do this, remove the dipstick from your engine and wipe it clean. Then, push the dipstick back into the tube, wait a moment, and remove it again. Make sure that the oil is between the High and Low marks and the oil looks clear and not thick/dark. If either of those conditions are not met, it’s time to schedule your next oil change. Paying attention to your BMW warning lights is also critical. If the engine oil warning indicator lights up, take your car in to the shop as soon as possible. We hope our guide answered how often you should get your oil changed and helped you get a better understanding of what is happening under the hood of your BMW car or SUV.  At BMW of Stratham, we’re happy to provide guidance and service to drivers from across Stratham, Exeter, and Portsmouth. If you believe your car is ready for an oil change, schedule a maintenance appointment with at our service center today!